You are at:Home»Health & Beauty»Aloe Vera – One Stop Solution for All Your Skin Issues! Aloe Vera – One Stop Solution for All Your Skin Issues! Aloe vera is something that has become a significant ingredient in many beauty products. It has been termed as the miracle plant which has benefits for making a healthy us. The benefits are not limited to beauty but are also medicinal. So many problems can be cured just with this easy-to-grow-anywhere plant. Here is a glance at the benefits of a simple plant. Acne: Applying aloe gel directly to outbreaks 2-3 times a day clears skin an allow removal of blocked oil. It also helps diminishing the scars when mixed cocoa butter. Eye Puffiness: Soak cotton ball in refrigerated aloe gen an apply under your eyes to reduce puffiness. 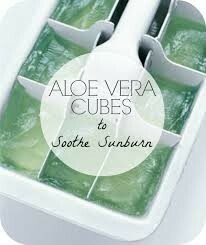 Sunburn: Aloe gel helps in faster recovery from sun burns due to its cooling properties and soothes skin really well. Wrinkles: Aloe gel delivers Vitamins C and E through to the under layers of the skin almost four times faster than water and when combined with virgin coconut oil, makes a richer way to deliver these nutrients to improve the skin’s firmness and keep it hydrated. Shaving Gel: Aloe vera also has anti-inflammatory and hydrating properties. It gives a smooth skin for a close shave and can be used after shave to soothe razor cuts if any. 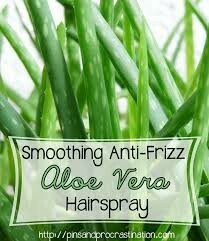 Anti Frizz: Aloe smoothens the hair taking away the frizz and without damaging that is caused by styling products. 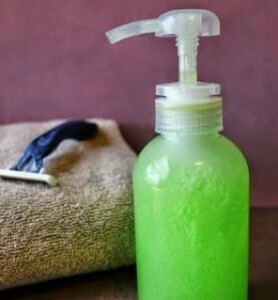 Mix aloe gel with water and add to a spray bottle and your aloe hair spray is ready!! Anti Dandruff: Applying aloe gel to scalp overnight and rinsing with water in the morning helps in reducing dandruff. Leave-in Conditioner: Mix some aloe gel with few drops of vitamin E and apply it to your scalp and ends. It will soothe the itchy scalp and will soften the hair. Strengthening nails:When applied to nail beds regularly it makes them strong and gives them lusture. Wound Treatment: Due to its anti-bacterial properties, aloe vera can be used to disinfect wounds. It can protect open wounds from microorganisms that can cause infections.